The maximum sample period of a microbial air sampler determines how long the device can be left to perform its task. Much like sample rates, you’ll find a wide range of options here with allowed sampling periods as low as 1 minute and as high as four hours. If one is looking to take quick samples in general facility areas one of the most common sample rates is 100 lpm, which allows for capture of a 1 cubic meter sample in 10-minutes. But, if one is looking to monitor a lengthy process, such as a pharmaceutical filling operation, or a lengthy surgery, one would opt to have an extended sampling period such as testing at 28.3 LPM for 2-hours. 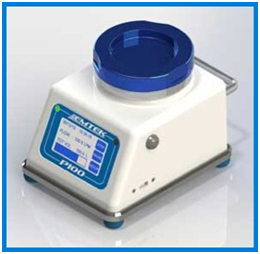 This minimizes required personnel interactions with the sampling device for test medium changes Again, the nature of your testing requirements will drive the required sampling period.